Mohans Binsar is a perfect holiday spot for those who are looking for a relaxed and smooth days at hassle free and commotion free destination. Located on the Binsar road. the hotel offers pleasinng views to verdant and sprawling nature. The accommodation facilities doled out here are world class and is a perfect rejuvenating destination for tourists like families, groups and couples. Mohans Binsar ofgers heartwarming views to scenic valleys and to snow laden Himalayas that have been preserved by Mother Nature over ages. The cottages and rooms at the resort comprise verandah from one enjoys spellbounded vies of the wionderful and extensive ranges as in Maiktoli, Mrightuni, Trishul and Nandadevi. 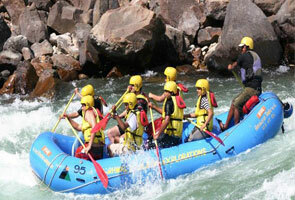 The resort is located at a mere distance of 6kms away from Almora on the way to Binsar. It is a small hillock that is covered with rhododendron, cedar trees and has easy accessibility to the oldest temple, Kasaar Devi Temple that is located at the hill top and is a thousand year old temple. The resort unveils several room facilities to customers. The rooms are neat and clean and dole out a homely atmosphere with warm and cool surroundings. The rooms comprise big windows and attached balconies that offer beautiful and amazing views to snow laden peaks. Each room has a verandah that allows one to grab a perfect view to enchanting beauty of Nature. The restaurant at the hotel unfold amazing Israili, Chinese, American and Continental cusine alonmg with rich delicacies of India. Room services are provided for breakfast. The Hotel has a café where barbeque is organised post sunset with beautiful rythms of guitars being palyed live on demand. 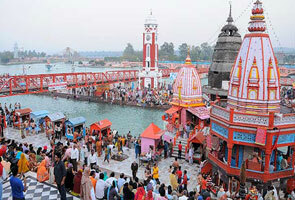 Nearest airport facility is Pantnagar which is located at a distance of 127kms. To reach the resort one has to cover 6kms extra. 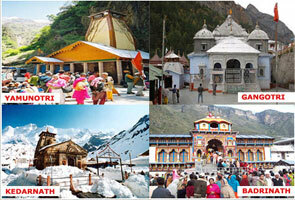 Kathgodam is located at a distance of 90kms from the resort. Direct trains are accessible frm Delhi, Lucknow and Howrah. 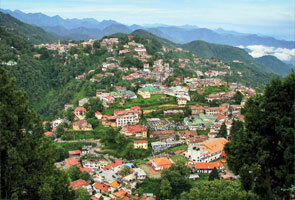 From Delhi, Almora is located at a distance of 380kms. Buses are accessible from ISBT Anand Vihar. One can also find buses from Kathgodam.